In my household, we have something called ‘real talk’. It’s when we talk about a specific subject authentically and truthfully even when a family member may feel uncomfortable. We understand that we have positive intentions for the discussion, so we allow it to have a positive impact on us. In that same vein, let’s have some real talk about utilizing the Certified Internal Auditor (CIA) designation to pursue your dream job and/or career track. To get where you want to go with the CIA, you must prepare for and discover Certified Internal Auditor job opportunities. You can follow these steps to do so. To make the most of the CIA certification, you must combine it with specific skills and skill sets. To learn more about this mission, we should consult the expertise of a past IIA article co-authored by Richard Chambers, the President/CEO of the Institute of Internal Auditors, and Paul McDonald, Senior Executive Director at Robert Half International. 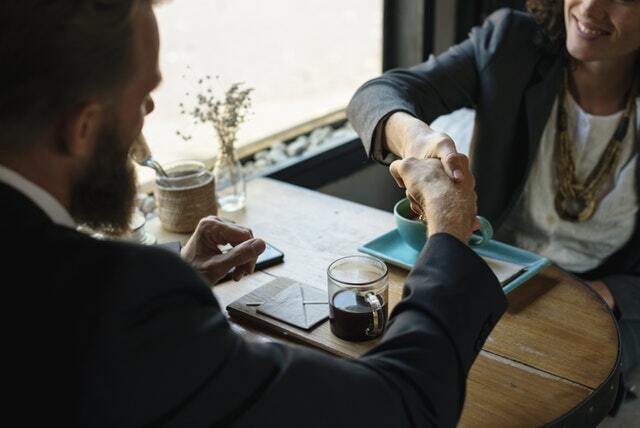 In Succeeding as a 21st Century Internal Auditor: 7 Attributes of Highly Effective Internal Auditors, Chambers and McDonald identify the skills that blend well with the CIA to create an attractive package of professionalism you can present to future employers. Note that you can use the above skills and skill sets in a variety of jobs and/or careers. For example, any position in the financial sector requires an elevated level of integrity as judged by factors including but not limited to personal creditworthiness and criminal background clearance. Another example is the fact that you are most likely contemplating, are actively pursuing, or have achieved the CIA. These actions indicate that you ‘buy in’ to the concept of continuous learning. Furthermore, communication will always be a critical skill regardless of the job. In any professional position, you must successfully communicate with other professionals and/or managers above and below your position as well as with your peers. Utilizing your CIA also means embracing several different truths about having a successful career. If you don’t adjust your perspective to include these viewpoints, you will struggle to secure your dream job and experience every advantage of the CIA. So, to further prepare for Certified Internal Auditor job opportunities, you should accept these two truths. Truth #1: Straight career tracks are no longer guaranteed. My dad retired from one company after 32 years of a turbulent but overall successful executive career. As I came of age, his message to me about my career and success was crystal clear: “You will be successful, but your career will not look like mine”. The following image is a good example of what my father was trying to convey to me and what I’m sharing with you. The days of the straight career track and one-company careers are nearly dead. The online professional contact platform LinkedIn infers that the average worker may have 10 different jobs before the age of 40. LinkedIn further reports that professionals who lived through the later years of the baby boom held nearly 11 jobs between the ages of 18-42. And finally, nearly two-thirds of those jobs were held between the ages of 18-27. Economically speaking, we know that our lives today are radically different from those of our parents’ generation. And, every article I’ve researched indicates that the number of jobs individuals hold will continue to rise in the face of employment numbers that are as high now as they were back in the early 1960s. This is not a terrible thing, it’s just our new reality. Truth #2: You can never forget who you are. Again, I’ll thank my father for this piece of advice: Confidence comes from knowing who and what you are. He taught me that whenever you pursue a new academic degree or professional certification, you must remember who you are! It’s easy to get discouraged by the situation or environment around you. Under-employment or unemployment weighs heavy on the psyche of even the most talented individuals. Furthermore, downsizing, layoffs, or otherwise involuntary employment can be emotionally and physically devastating. To get past the bad and/or uncertain times, it’s critical to be reminded of (and hold on to) what you brought to the table before the event occurred. You are (or should be) a self- motivated individual who has a plan for their life. You’ve worked hard to make hard choices and hard sacrifices to launch and further your career. You possess leadership skills whether you’re comfortable leading or not. You’re articulate whether you like public speaking or not. Regardless of whether you are an introvert or an extrovert, you have skills to be reckoned with. You’re a team player and recognize the importance of team whether your project is a team of 1 or a team of 10. Moreover, you can successfully go back and forth between the two. In summary, you are awesome and have strong skills and skill sets to offer any company for any position. Don’t forget that! Once you’ve prepared for CIA job opportunities, you must discover them. This process may take a little more effort than you would expect, but all your hard work will certainly pay off when you’ve landed your ideal position. To discover Certified Internal Auditor job opportunities, take these two steps. Thinking outside of the box in this competitive employment market is mandatory. There is no perfect path or proven method for reaching your goals. You must take your CIA and knock on lots of different doors. Once you get in the door, you must determine how to best utilize your certification and your skills to move forward. It’s about making the CIA and its related skill sets work best for you. Understand the metaphor correctly: Thinking outside of the box means to think differently, unconventionally, or from a new perspective; it often refers to novel or creative thinking. With that definition, what does thinking outside of the box mean for the process of carving out your auditing career? You can get even more creative in your job searches by thinking like an employer. Where might advertising for an open position be cheaper than on the popular job search sites? When you think of the place, look there. Additionally, you can’t be afraid to look for and reach out to companies and/or other CIA community members on LinkedIn and then continue to follow up with your contact. Finally, you can take steps to enhance your resume and improve your career profile in case a potential employer finds you first. For instance, you can write an article for a trade magazine and add it to your list of publications. Also, as soon as you earn the CIA, you can add that and the letters of your other degrees and certifications to the end of your name. You can even reach out to former and current colleagues to request they add a public recommendation to your LinkedIn page. The famed author Theodore Geisel (“Dr. Seuss”) wrote and animated one of my favorite books: Oh, The Places You’ll Go! Published in 1990, this book was the author’s last published work. I’d like to leave one of the opening paragraphs with you. You’re on your own. You know what you know. With obvious gender flexing, the book admonishes us to remember that WE have the ability to determine where WE will go. Keep that in mind as you develop your skills, adjust your career perspectives, and seek out the job of your dreams. Of course, if you don’t yet have the CIA certification, you aren’t yet ready to take advantage of those Certified Internal Auditor job opportunities. You may have heard that becoming a CIA is a challenge that takes time and money, and that’s true. But thankfully, earning the CIA certification can be easier than you think when you have the support you need. You’ll find that support at ipasstheciaexam.com. This site offers guidance for every step of the CIA process, CIA review course recommendations, and even CIA exam prep discounts. Check out ipasstheciaexam.com today to start the process of becoming a CIA! Check this page often for the latest CMA discounts and CMA promo codes! We've updated this page to reflect the best Black Friday CMA discounts and Cyber Monday CMA discounts! This discount only applies to Wiley ​CPAexcel ​Platinum Course. You have to click this button to save! You don't need to add a code; you just need to click this link! This discount applies to all CMA Exam Academy courses. When you use these IMA discounts, you can save money on your CMA certification! Enter the code at checkout and save 15% on both the IMA membership fee and the CMA entrance fee! This discount applies to the full Surgent CMA Review course. Read my Surgent CMA evaluation. ​Read my Wiley CMAexcel Review evaluation. Click this link to save! You don't need a code! This discount applies to Part 1 of the Complete CMA Coaching Course. All you have to do to save is click this button. You don't need a code! Frequently, the IMA supplies candidates, especially those in the Middle East, with discounts on CMA exam fees. For example, right now, you can use code IPASS15 to save 15% on your IMA membership and CMA application fee! You'll start reaping the benefits of the CMA shortly after you earn it. In fact, with career advantages such as increased income, incentives, and job opportunities, the CMA will pay for itself pretty soon. But you'll have to pay for it first. To secure the CMA, you must contribute sufficient time, effort, and funds to the process. Specifically, you'll have to foot the bill for CMA exam fees and study materials. While the CMA is worth the cost, you don't want that cost to be any bigger than it has to be. And thankfully, CMA discounts keep those fees from becoming unmanageable. With CMA discounts, you can save hundreds of dollars on your review course. If you want to save big and pay less for the CMA, use one of these CMA discounts today. If you're wondering how to choose between all these great CMA discounts, I've got some suggestions. First, figure out what your must-haves will be. To be the best course for you, your CMA review must address your learning style and knowledge levels. It also needs good reviews and recommendations, and you can learn how the most popular courses on the market stack up in those areas in my CMA review course comparison. Once you know what you need in a CMA review course, see how well each CMA review course delivers so you can narrow down your options. If you find that your favorite CMA course requires more funds than you were expecting, search for a CMA discount for that course. A CMA discount can save you hundreds of dollars, so it's worth the effort to locate one! Is the best CMA discount you can find still too small for your preferred course? In that case, you may need to bend your budget just a little. Trying to keep your CMA costs down is a great idea, but the course you need most likely offers a lot of value for the price point. Therefore, it's worth the extra expense. The course that gives you everything you need to pass the first time is truly the ideal CMA course. If you get that course and pass fast, you can finish the CMA certification process faster and start earning back the money you put toward the CMA sooner than you think. Sometimes, the CMA discount you want will require you to use a CMA promo code. When you're ready to use a CMA promo code, start by copying the code from this site. To copy the code, all you have to do is click the button that says, "Get the code!" or something like that. Clicking this button will copy the code for you and take you to the CMA review provider's site. At their site, you can add the course you want to your cart. Then, at checkout, you'll see a place to paste the code. After you've pasted the code there, click "Apply". You'll then see the cart refresh to reveal how much you've saved. With the coupon application covered, you can save big on your CMA exam prep and begin preparing to pass! Really, the CMA promo code process is pretty simple. Give your new skills a go by using one of these CMA promo codes today! The easiest and most effective way to save money is to pass the CMA exam on your first attempt. You can also take these 3 extra steps to make the most of your CMA investment. A free trial lets you see how the course works and meets your learning needs before you make a monetary commitment. Gleim CMA and Wiley CMAexcel each offer free demos of their courses. Therefore, I suggest you start your review course search with one of these providers. The test prep software included in your CMA review course is not just a bank of practice questions. Instead, it's a host of opportunities to improve your knowledge, as each question tests your familiarity with a certain concept. When you answer a question correctly, you confirm your deep comprehension of that concept. Conversely, when you get a question wrong, you prove that you need to put more time into that topic, and you also get to see where to adjust your thinking. Yes, I know that many CMA courses provide digital or printed flashcards. However, there are so many benefits of making your own that I still suggest you do it. When I was studying, I jotted the most important points and concepts down onto 3x5 index cards. Alternatively, some of my friends took notes in notebooks. As long as you're letting your brain process the newly gained knowledge, either method is effective. Please share your thoughts! I'd love to know how you plan to save money on the CMA exam!  Many people choose to start with an accounting job because it is stable and it pays relatively well. Some are forced into this profession because it’s the only job they can find with an accounting major. A few years down the road, with solid accounting experience under your belt, it’s time to revisit the decision. Should you go for a career change from accounting? What would be a great second career? I used to work in Morgan Stanley’s Investment Banking division. In our analyst class, we had a few lateral hires, and almost all of them were accountants by training. It’s no surprise that bankers find accountants complementary in their working team. The first round of investment banking analysts are hired based on how they can carry themselves professionally (in front of the interviewer/client), how smart they seem to be, and how likeable they are. In other words, their majors and previous training do not always count. In my class, there were History and English majors, just to give you an example. We went through a month of training, but still, many of us lack a solid foundation in Accounting. At the same time, financial modeling requires a certain level of accounting knowledge and this often creates an issue for the working team. As you can imagine, for a Vice President who is frustrated over the quality of the financial model, he would be thrilled when he sees a candidate coming from a Big 4, or at least an accounting major with a few years of solid training. Better yet, if this person has taken the time to get his CPA exam, it’s gold. If you are to start a second career in investment banking, please expect that the firm may discount your experience and put you in the first year class. This could be frustrating especially when you have classmates who would be a year ahead of you. I suggest that you look at this in a longer term — your solid accounting experience will help you stand out from the crowd. With dedication and hard work, your boss will notice, and you will reap the benefits through bigger bonus and faster promotion down the road. Check out this insider guide to investment banking here. Many accountants grow tired of working as bean counters. 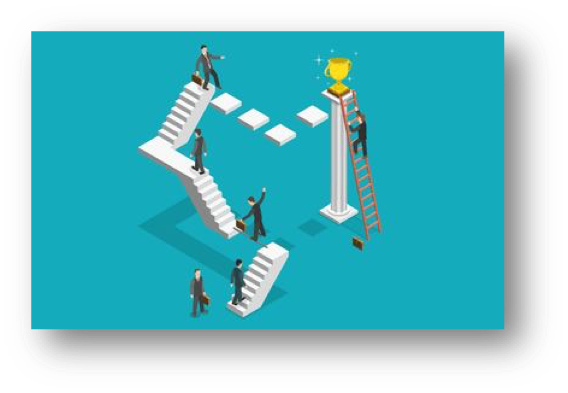 Fortunately, many accountant jobs have evolved into interesting opportunities that require constant interaction with business operation, business development and strategic planning units. If you are interested in this direction, the easiest way is to look for jobs via internal transfer. This is the most efficient way for you to transfer your accounting skills into one that’s more analytical and business-oriented. For those who feel like analyzing a company’s business is not exciting enough, you might want to jump straight into creating a business yourself. Accounting is a very practical set of skills. It not only helps you understand how money flows in and out of any business, it also helps you plan and avoid pitfalls if you are to run a business yourself. That’s why, if you are creative and entrepreneurial, launching your own company after your accounting training may be the way to go. I don’t necessarily mean setting up your own CPA firm — it is possible if you have 10+ years of experience under your belt, but generally this is a tough road. I am talking about creating your own company according to your passion – it can be a baking shop, an online business… the point is your accounting skills will help you along the way for years to come. This is almost a best-kept secret within the accounting circle, but there is a profession called the Enrolled Agent that is perfect for accountants interested in tax and with an entrepreneurial mind. Enrolled agents are tax specialists. They prepare and sign tax returns, represent the client at tax audits, assist clients with collections issues, set up installment tax liability, sign consents to extend the statutory period for assessment. For the experienced EAs, they advice clients on IRS tax disputes and represent clients in Tax Court. Unless you hate tax, you are well prepared to be an enrolled agent as an accountant. Enrolled Agent enjoys flexible hours. But unlike Financial Advisors, your job is not linked to the external markets (e.g. the stock market) in which the ups and downs of your performance could be out of your control. Enrolled Agents are more like an advisor and an attorney. At the same time, the demand for tax help is so big that you don’t need to market yourself for business if you do a decent job. Your client will happily refer you to friends and business partners because it looks good on them to recommend a much needed service. Enrolled Agents are great opportunities for Stay-at-Home Moms, retirees and those who need or yearn for flexible working hours. At the same time, it is a job that can provide financial freedom. To learn more about how to become an Enrolled Agent, check out this link. Do you have other ideas in mind regarding jobs for former accountants? Please drop a note below and let us know.